The paleo food community has a love affair with summer squash, including the recent discovery of “zucchini cheese” that is taking the social media world by storm! 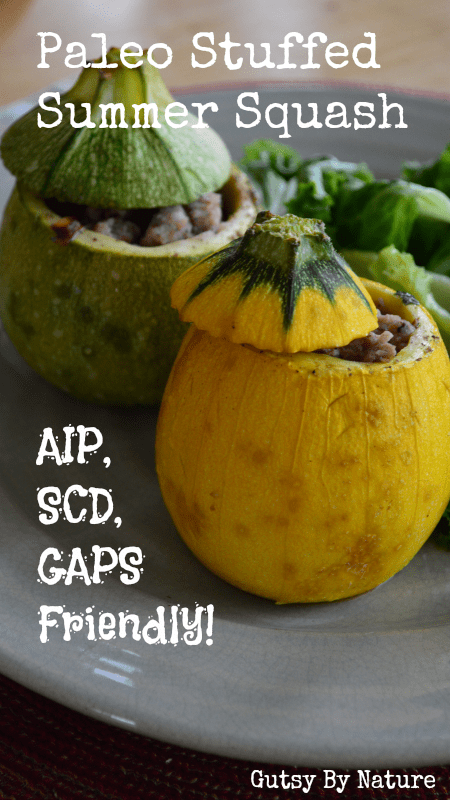 So I was surprised to discover few recipes for paleo stuffed summer squash when I went looking for creative ways to prepare these adorable 8 ball squashes that showed up in my organic produce box recently. I looked at a bunch of different non-paleo recipes that relied on grains, beans, and cheese for flavor ideas and technique and cobbled all of those together to create this recipe. 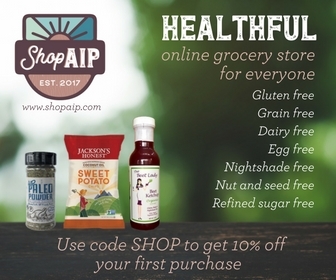 Paleo Autoimmune Protocol (AIP)/The Paleo Approach (TPM): No modifications needed, this recipe is AIP-friendly as written. Specific Carbohydrate Diet (SCD)/Gut and Psychology Syndrome Diet (GAPS): No modifications needed for SCD. If prepared according to GAPS principles, you could eat this on virtually all stages of the GAPS diet. Low-FODMAP: Omit the garlic and onion. A melon baller like this one will make removing the seeds easy! 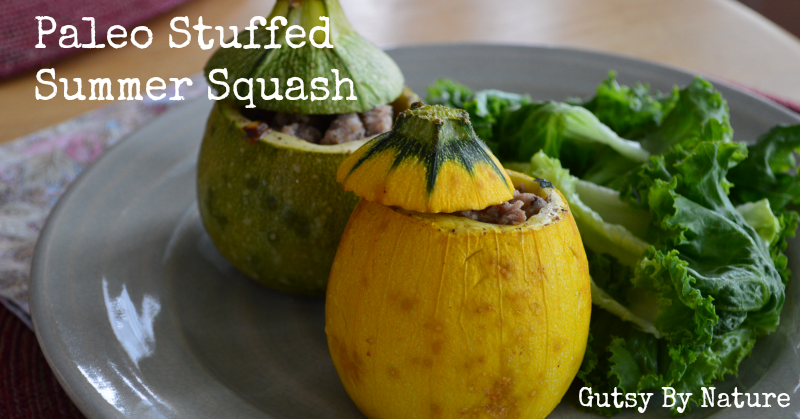 Dairy, grain, and legume free stuffed summer squash! If you don't have 8 ball squash, make squash boats instead. Cut top of squash and scoop out seeds and inner flesh, leaving a shell that is about ¼-1/2 inch thick all around. If the squash has a rounded bottom and doesn't sit flat in your baking dish, you may also wish to slice of a thin layer on the bottom to allow it do so. Season squash with salt and place in oven to precook while you prepare the filling (about 15 minutes). Heat coconut oil in a medium skillet. Saute onion and celery until slightly softened, add garlic and cooke until fragrant (about 30 seconds). Add ground pork and herbs. Cook, breaking up meat with a spoon and stirring frequently, until no longer pink. Remove squash from oven and evenly distribute the meat mixture among them. If desired, replace the squash tops. Pour a small amount of water in the baking dish and place it in the oven. Bake until the squash is soft, slightly browned, and flavors have melded together (30-45 minutes). This will vary depending on how big your squash is. Sorry – probably a stupid question, but I’m going to ask anyway. I’m assuming you don’t eat the rind, but it appears you also don’t eat the flesh because it says scoop out the seeds and flesh, then doesn’t mention the flesh again. So it’s just a fancy bowl for the filling and you throw away the edible inside? Or is this type of squash mostly seeds inside and the 1/4- to 1/2-inch edge is all the edible flesh there is? The whole squash is edible… and delicious!